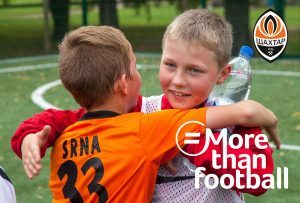 The #Morethanfootball Action Weeks are a global campaign for the European football community to showcase the impact of their community and social responsibility activities and programmes. Supported by the UEFA Foundation for Children, the ECA and the European Football for Development Network, the campaign provides the wider European football family with a platform to inform and engage with fans and stakeholders on their Community and Social Responsibility activities and raise awareness of the transformative role European club football can play in changing peoples’ lives for the better. During the #Morethanfootball Action Weeks, the participating organisations celebrate the work they do on and off the pitch on a local, national and international level. This can be done through many different ways and new and creative initiatives are always encouraged. The previous years have included activities such as special match-day activities, digital campaigns and the use of more traditional media methods such as banners, billboards, posters and brochures. Organisations are encouraged to participate in a video challenge emphasising the power of football and what #Morethanfootball means to them and social media is also a vital communications channel. The hashtag #Morethanfootball will be used by the participating organisations to spread and share the message. 2019 is the third year of the #Morethanfootball Action Weeks and will build on the previous years’ success and growth in engagement and reach. 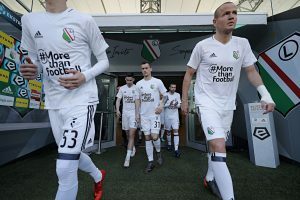 During the #Morethanfootball Action Weeks, organisations can showcase their CSR work in any way they wish and there are numerous ways to do this. Community programmes can be promoted during home games, in matchday programmes or on LED walls. The European football family is encouraged to publish dedicated content on their websites and through their social media channels, stadium billboards and website banners. Join the #Morethanfootball Action Weeks and register your organisation now.